"Supporting the Transition to Medicaid Managed Care: Health Information Technology for Home and Community Based Services Providers"
Transitioning to Medicaid Managed Care brings many changes for community based organizations including the implementation of an Electronic Health Record and the Health Information Technology required to support it. NYS is implementing a new program called BH-HIT to assist us in this transition. Hear how this project will be supporting community providers HIT needs across the State. Discussion will include what kinds of HIT TA will be available, who will be eligible to receive them and how much and for how long will we access them. Also, hear the provider perspective on selecting, implementing and sustaining an HER and HIT system. The MRLC is a special Members only benefit. We are pleased to open this webinar to everyone to assure that you all receive the latest information on this topic. Join Us! Presenters: Thomas Uttaro - Dr. Uttaro is Director of Health Information Technology and Health Information Exchange adoption and implementation supporting NYS-OMH, NYS-OASAS, NYS-OPWDD, and NYS-OCFS through HIT grant funding programs. He is a former executive director and deputy director for community services for NYS-OMH and he has also directed HIT adoption and implementation activities for the New York e-Health Collaborative. He is an author of a number of quantitative and qualitative research studies, that developed statistical and analytic methodologies to support chronic care management, prevention, and cost reduction initiatives. Eric Weiskopf - Eric is Senior Manager for Health Information Technology and Health Information Exchange adoption and implementation at the New York State Office of Mental Health. His work supports NYS-OMH, NYS-OASAS, NYS-OPWDD, and NYS-OCFS services providers leverage Health Information Technology in their transition from Medicaid Fee-for-Service to Medicaid Managed Care. Prior to his work at OMH, Eric spent three years as the Health Information Technology coordinator for the New York State Department of Health's Medicaid Health Home program. Elise Kohl-Grant - Elise is the Director for the Behavioral Health IT project working in the division of Mental Hygiene, partnering with State organizations such as OASAS, OMH, SDOH, NYeC, Behavioral Health advocacy groups and provider organizations to develop the strategic framework and rollout of the BHIT project. Previously she was the Manager of Statewide services for NYeC, where she oversaw the new governance structure consisting of all the NY Regional Health Information Organization (RHIO/QE) and led contract negations for new HIE State initiatives. Hector Pina - Hector is the Director of Implementation, Behavioral Health Systems, Primary Care Information Project - NYC Department of Health and Mental Hygiene. Hector joined DOHMH in 2012 to deliver the technical implementation of the HEAL 22. Behavioral Health IT Grant for the City of New York. Along his professional career he has combined direct working experience as a licensed psychologist, organizational and business process improvement consultant, and implementation of change throughout the use of information technology. During the past 20 years he has been delivering IT solutions to business and healthcare organizations including software development, hosting, security and training. Sharon Bari - Sharon joined NYeC in 2010 and is the Manager of Implementation, having worked in the Health Information Technology field for the past seven years. As an NCQA Content Certified Expert (CCE) In Patient-Centered Medical Home (PCMH), she has most recently been the lead for the NYeC PCMH consulting team that successfully guided practice sites to NCQA PCMH Level 3 recognition. In her prior roles at NYeC, she successfully managed the HEAL 22 Behavioral Health HIT grant and managed other state and federal programs for EHR adoption, Meaningful Use and the privacy and security of health information. Roy Gomes - Roy joined NYeC in January 2011 as the implementation project manager after having worked in health information management for more than 15 years. In his role at NYeC, Roy is responsible for the administrative oversight of the Regional Extension Center and Medicaid EP2 programs for the adoption and meaningful use of electronic health record technology. Prior to NYeC, Roy was the director of health information management at South Nassau Communities Hospital and director of health information management at Calvary Hospital. Paula Fries - Paula Fries is the Chief Operating Officer and Compliance Officer for the Association for Mental Health and Wellness (MHAW). Paula was responsible for the EHR selection and implementation agency-wide of Anasazi Software. Paula recently began serving on the Behavioral Health IT (BHIT) Steering Committee, a joint collaboration between three NY Sate departments, which is charged with assisting CBO's in transitioning to Medicaid Managed Care. Paula is NOT a techie by "birth." Professionally, she is an Art Therapist and Certified Gestalt Therapist, and is licensed to practice psychotherapy in the state of New York as a Licensed Creative Arts Therapist. Paula has over 33 years of experience working in behavioral health, and has been honored to be part of the Association for Mental Health and Wellness' growth and evolution as a healthcare innovator for these past 22 years. 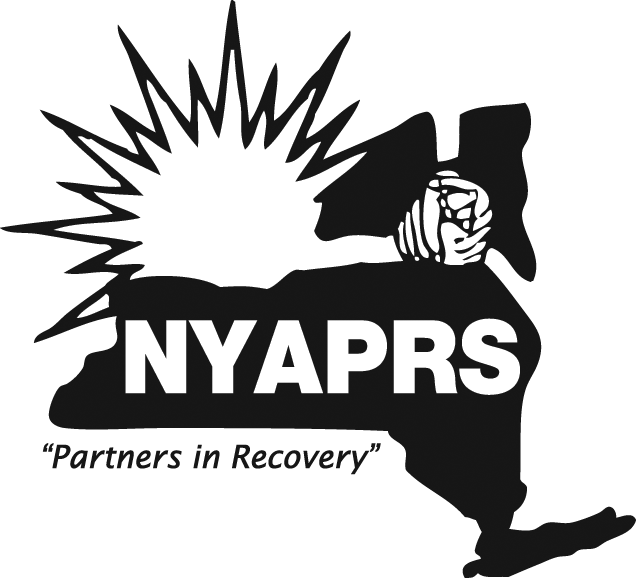 For more information about this event, or to join NYAPRS visit us online at www.nyaprs.org,<http://r20.rs6.net/tn.jsp?e=0013VtrLnbgzPcL-9epT_1GE0UfYaDLOPYsIMSSOW7oi_HWKwLHnHJOsd3yMHqMN6OLZTpoCz6b-lp0KJrGKnxMGn18RG_96NIj8sS9JLb2HiU=> or call our office at 518.436.0008!